Today, more than ever everyone wants to find ways to save energy around the house and decrease the utility bills. Unfortunately, there are many information about saving in the market and a lot of tips on the Internet to help you keep your house cool. However, most of the advice you heard before maybe myths about the air conditioner. One of the popular myths that it helps you to save energy and money are doing opposite indeed. People are different from each other, and it means a lot of different views. These people come with different ideas and encourage “Hearsays!” on any topic. These people try to show off their supposed knowledgeability, and usually, facts and stats about the air conditioner and their settings. In this case, these discussions mislead us instead of guiding us. We will share the top common myths that people strongly believe. It is essential to understand and know air conditioning system myths before we go for it! You will catch a cold if you use an air conditioner! It is not true. Yes, colds and flu are fellows of cold weather in winter. But it is also possible to catch a cold in summer. People are ready to blame their AC for making their places too cold. Cold temperature does not cause illness by itself. There are always viruses all around us, and it is a fact that some conditions are convenient for viruses to spread around. Low humidity rate helps the most viruses to travel better through the air in the winter months. 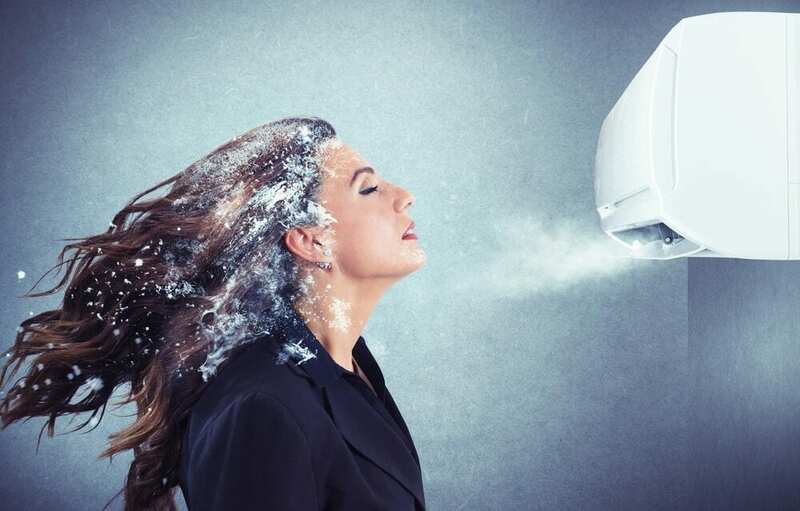 Cooling our houses in summer months makes the air dry out, and because of this, we face many problems in air-conditioned places. One of the issues is irritated dry eyes. Especially if you wear contact lens, it will be a disaster for you. Cold and dry air makes your nose dry as well, and you can be more vulnerable to infections. Viruses are fond of a dry nose. It is a waste of money to get service to your air conditioner! False! AC needs to breathe. Regular cleaning can keep your appliance work smoothly and efficiently. It gives you a chance to catch the issues that have developed during the winter. Ignoring routine AC maintenance can cost you a lot. It can break on the weekend and calling service to repair it will charge you extra. Many companies offer an HVAC service contract or maintenance agreement to its customers. Costs for annual service contracts range from 150$ a year to over 400$ a year. Clearly, it is hard to determine if it is worth or not. You can judge by taking into consideration your AC’s age, type, condition, location, etc. Some tips will help you to decide whether to sign up for an HVAC service contract or not. Do not try to service your AC by yourself. It seems it is not too complicated, but there are high voltages and currents involved. It would be better to call professionals and let them do it. 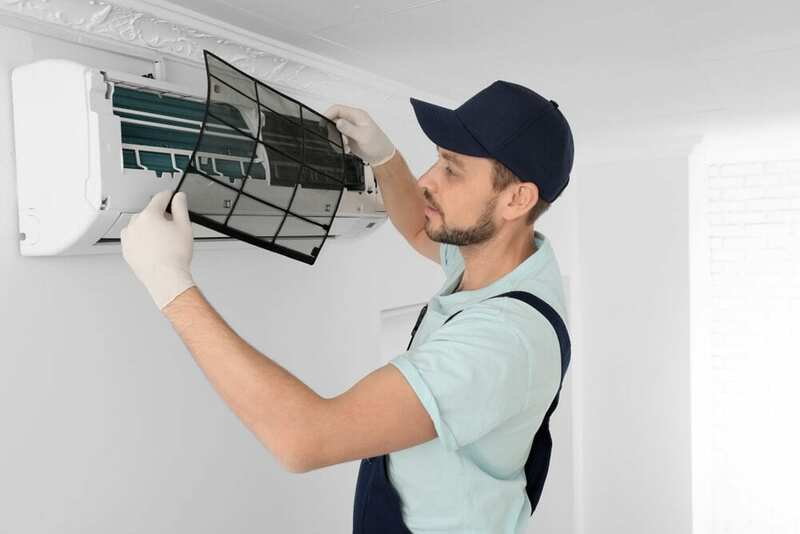 If you do not want to be busy with anything and you do not remember the last time you changed the air filter, an annual service contract will not let you waste your money and time. If your AC has been in use for more than ten years now, we highly recommend you to sign up for an annual service contract. The average lifespan of the AC system is 20 years, but heat pumps last on average 12 years. The bigger air conditioner is cooling better! Almost all houses have a central air conditioning system. When people buy a new AC, they prefer to get a bigger one. These kinds of AC systems can cool more space. However, they do not offer the most efficient and effective solutions. Redundant big AC consumes more energy, and in other words, they waste energy too much. It is because of stopping and starting more often. Bigger AC needs more power to start, compared to the smaller one. Frequent starts and stops can cause more noise as well. It is evident that bigger AC increases comfort in larger houses. But it does the opposite in smaller homes. It happens since the AC does not have enough time to dehumidify the air before it reaches the desired temperature. When there is a high humidity level in their house, people feel less comfortable. There are some solutions to dehumidify the house. One of them is to use dehumidifiers. It will help you to increase comfort level, but electricity bills as well. Dehumidifier draws power and also generates heat. This makes AC work too hard, so the AC will consume more energy. It is better to install an air conditioner of the appropriate size. A lower temperature will cool faster! When you arrive home, and you feel hot and airless, you will be more likely to turn on your AC system to speed up the cooling process. Turning down the AC to a lower temperature will not result in faster cooling. Air conditioner operates at certain speeds. When you decrease the temperature on your thermostat, the AC switches on and starts to cool your house. A lot of new AC can run at both high and low speeds. But, your AC can not run harder to cool your home. AC runs efficiently, no matter where and how you install it. 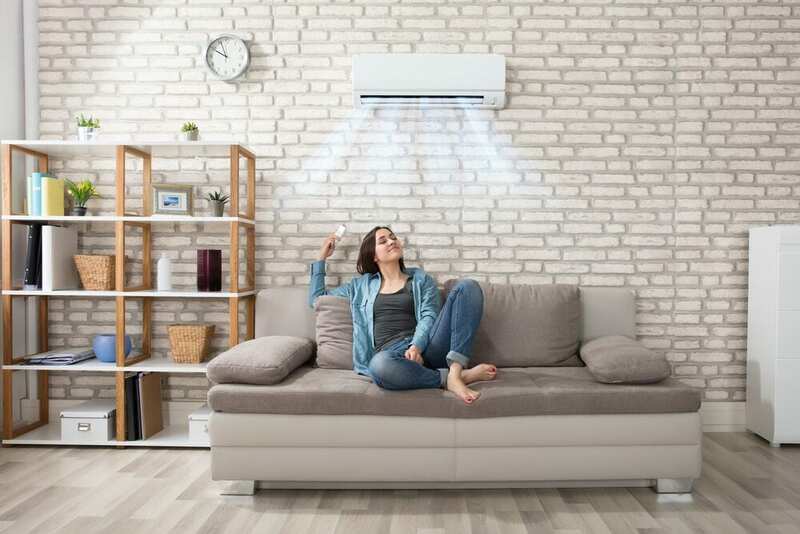 If you believe that installing air conditioning anywhere in the room will give you the same comfort, you should think twice. The efficiency of the AC highly depends on where you install it. 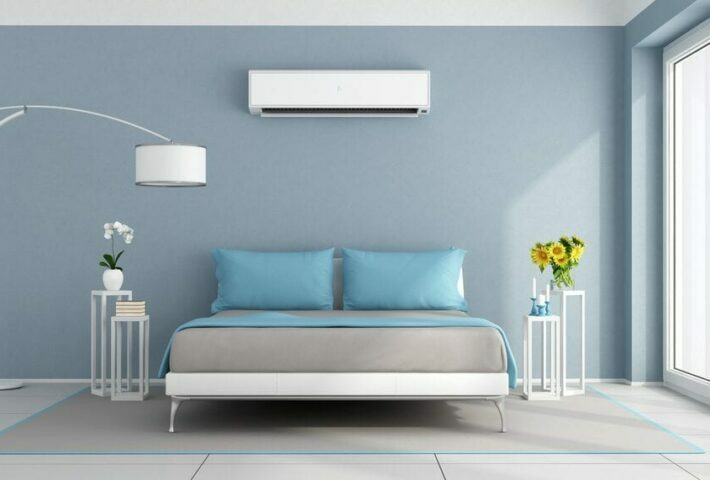 The position of your AC has a significant influence on its energy efficiency. Of course, it is convenient to install your large HVAC system in a disused corner. It will make your AC work harder to cool your house. Putting it in a shady spot will help to consume less energy to cool the room. You should never install your AC close to light fixtures or an electrical appliance since emitting heat can affect the accuracy in sensing the temperature of the room. You should also avoid direct sunlight. Nothing blocks the airflow from the AC system. When the AC is working, it is the best way to leave doors and windows open to reduce operating efficiency. It will weaken the ability of your HVAC system to bring your house to a comfortable temperature. If you open doors and windows during the day to bring hot air and cold air at night, your AC will have to work harder to draw humidity and cool your room down. While you use the AC, you should keep all the doors and windows closed! Another mistake is to use exhaust fans in the kitchen and bathroom. Those fans can release conditioned air out of your house that unnecessarily increases the strain on your air conditioner. During the summer, use those fans as less as possible.